A versatile, illustrious author brings out his first short-fiction buffet for sampling, and the results are provocatively varied in taste and texture; sometimes piquant, other times zesty. It’s not every contemporary fiction collection that includes one story featuring Abraham Lincoln and another (somewhat) unrelated story involving a young mixed-race orphan wandering Civil War battlefields insisting he is President Lincoln’s son. But when the imagination at work here is as well-traveled as McBride’s, such juxtapositions are easily understood—and widely anticipated. Celebrated for his bestselling family memoir, The Color of Water (1996), and his National Book Award–winning antebellum picaresque novel, The Good Lord Bird (2013), McBride exhibits his formidable storytelling chops in an array of voices and settings that, however eclectic, are mostly held together by themes of race history and cultural collisions. As with most story collections, some selections work better than others; but those that do resonate profoundly. For instance: the first story, “The Under Graham Railroad Box Car Set,” is told from the point of view of a white antique-toy dealer who, upon encountering the black family who now own a rare 19th-century train set once given as a present to Robert E. Lee’s son, is nonplused by their willingness to give him the valuable artifact without haggling over money. There is also a poignant four-story cycle bearing the rubric “The Five Carat Soul Bottom Bone Band,” referring to a quintet of teen funk band musicians from an at-risk neighborhood in Uniontown, Pennsylvania, a Pittsburgh suburb. 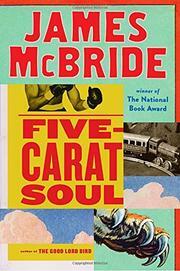 McBride is daring enough to apply his realist’s sensibilities to fantasy with “The Moaning Bench,” in which a flamboyant heavyweight boxer bearing the looks, sass, and swagger, if not the same name, as Muhammad Ali challenges hell’s satanic gatekeeper to fight for the souls of five quivering candidates for Eternal Damnation. The best is saved for last: “Mr. P & the Wind,” a five-part suite of stories set in a contemporary urban zoo whose menagerie communicates with each other—and at least one human—in what they call Thought Speak. The charm emitted by these whimsical-yet-acerbic tales seems to come from a hypothetical late-19th-century collaboration of Mark Twain and Rudyard Kipling. McBride emerges here as a master of what some might call “wisdom fiction,” common to both The Twilight Zone and Bernard Malamud, offering instruction and moral edification to his readers without providing an Aesop-like moral.